More good news! The Texas Digital Newspaper Program from The Portal to Texas History will be at the DFW Archives Bazaar. The Texas Digital Newspaper Program (TDNP) partners with communities, publishers, and institutions to promote standards-based digitization of Texas newspapers and to make them freely accessible via The Portal to Texas History. Through continual outreach visits across Texas combined with advanced technological infrastructure and multiple funding sources, TDNP has become a state and national leader in newspaper preservation. 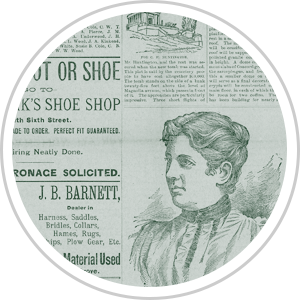 People who work with the Digital Newspaper Program range from university researchers to librarians, K-12 students and educators, lay historians, and genealogists. Visit the Texas Digital Newspaper Program and The Portal to Texas History at their booth to learn more about their work and collections, at the DFW Archives Bazaar on Sunday, October 14, 2018, from 1-5pm at Dallas Heritage Village at Old City Park.